This one is a really quick update on Patreon. As you may have seen on Twitter, during December I am running a ‘special offer’ for new patrons who sign up to the $2 a month or higher for December and keep the subscription until at least the first of January or for ongoing patrons who are already paying $2 a month or higher (or choose to upgrade for December and January). It’s not huge, but pretty much anyone who signs on during the offer will get a shout out in the dedication of my ebook ‘Thoughts on Anime 2018’ which will be released January 20, they’ll also get their name and link added in the thank-you on the bookshop page on 100 Word Anime. Of course, they also get access to the episode reviews that have been written exclusive for patrons this year. 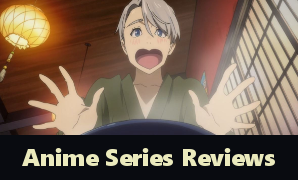 So Darling in the Franxx episode reviews as well as my first attempt at a video review for the whole season, Kakuriyo no Yadomeshi episode reviews and second (fairly dodgy) attempt at a video review, and the current episode reviews for Bloom Into You. You’ll also get a copy of the ebook once it is out as a thank-you for being a patron (and all patrons are offered a copy of the 2017 ebook on sign up, even at the $1 a month level – all existing patrons prior to December will be offered the 2018 ebook). Next year I am going to continue to try to build content for patrons, though it is a tricky balance because I do want the majority of my content to remain freely available to my readers. I really appreciate everyone who follows my blog and engages with my posts. For those who would like to support the blog next year but aren’t really wanting to sign on to patreon, you have two others options. You can buy me a coffee or use Paypal donate for a one time payment rather than an ongoing one. I can’t actually run an official special offer on either of those, but if you do use either of these options in December and spend at least $4, I will include you in the book dedication and once the book is available I will offer you a copy via email as a thank-you (which means you will need to leave the means for me to contact you). As I said, I know it isn’t much, but I am hoping to continue to grow next year. I’ll hopefully be running the blog’s first real competition with actual prizes next year for the anniversary in May (continuing to work on building up some items to use for that – and saving money for postage because I’d like to make sure all of my readers can participate). I am also hoping to continue to try out audio and video posts periodically and let my patrons tell me what I need to work on. While these are definitely side projects at the moment and fairly sporadic given my ongoing work schedule, the dream is to make the blog a full time project and I’m continuing to work toward that. Please consider becoming a patron, even if only for a short period as it really does help make the blog more viable. Earlier today I celebrated reaching 10,000 views in a month on my blog. This was such an exciting milestone to reach and one I’m incredibly happy about. But it made me reflect on what is actually next for the blog. Over the past year and a half (since deciding to try monetising the blog) it has occurred to me that I am really bad at selling myself. Okay, I already knew that given I’ve previously described myself as a ‘mostly functional human being’ in a job interview or words to that affect, but it has occurred to me how contradictory I am being. On the one hand, I really want my blog to end up being something full time and not a hobby which means I need to sell myself as a writer but on the other hand explicitly promoting my Patreon always feels pushy. The occasional tweet reminder and the small button at the bottom of posts is usually about all I really do to promote my Patreon page because any other time when I go to write something I just think it sounds like I’m being obnoxious. And if you find it obnoxious, I’m going to warn you, now is the time to bail out of this post because what this post is going to be is an outline as to why I feel people should become Patrons of 100 Word Anime, a thanks to those who have been patrons, and a look toward the future. So, full disclosure and no trying to sneak in a sales pitch. This is a sales pitch for my blog and hopefully you stick around to read it. Why Should You Become a Patron? 01. By becoming a patron for even $1 per month, you will gain access to patron only posts that are currently password protected. While there aren’t as many of these as I would have liked for this year with sickness and a few other issues making it harder to do extra content, there’s still a fair amount of content that you will gain instant access to. This includes some audio blogs, episode reviews of Darling in the Franxx and the currently airing Kakuriyo no Yadomeshi, and my so far only video review for Darling in the Franxx (both the first and second versions of it). While that isn’t an amazing amount of content, it is a growing pool of content created for patrons as a thanks for helping me to achieving my goal of one day being a full time anime blogger and looking at other forms of content other than written (even if written content will remain my primary focus). While working full time and maintaining my usual content takes a lot of my time, I’m going to keep working to increase output for patrons to help them feel that they are getting a little something back for their support. The other part of being a patron is that should you wish to have a say on content (a particular show you would like to be reviewed for patrons during the season) being a patron gives you access to this. The Summer season didn’t have any requests so there isn’t a title being reviewed for patrons only, but as we enter the Autumn season we will see if anything gets suggested. 02. The second reason for signing up to be a patron by the end of September is because all of my patrons have been offered a PDF version of the book Thoughts on Anime 2017, and anyone who becomes a patron before the end of September this year and maintains their status as a patron until at least the end of December (so $4 total if you pledge $1 a month), will have access to 2017’s book immediately after September and the second release, Thoughts on Anime 2018 in PDF form which will be released in January and already has much more content packed into it than last year’s release. Seriously, it needs an edit but it is already topping 200,000 words and contains my features, top 5’s, episode and series reviews for 2018 to date and will also have some small amount of totally new content added in once I’ve got it into a state that doesn’t make me want to delete it. 03. If you happen to pledge more than $1 a month, you start opening up access to requests for post topics, guest posts for your own blog, or requested reviews of streaming anime where each episode review will include a link to your blog as the person who has requested it. While none of these are amazing rewards, it does give you increased access to control over the content on 100 Word Anime. I’m also fairly open to discussion about what else could be offered to patrons so if you think of something you would like as a reward let me know via my contact page or a DM on Twitter. If you want to know all the reward levels, be sure to check them out on Patreon. And again, if you want to negotiate your own reward I’m very happy to discuss. I am aware that many people out there are struggling and while they might like to be patrons it just isn’t possible. I’m very grateful for all my readers and the support you give the blog through visiting and reading content, your likes and comments, and making me feel like a welcome member of the community. Now, I know some of my Patrons aren’t listed and some of the links need updating. Part of this is because some patrons have chosen to remain anonymous and part of it is because I haven’t got the current link or name the patron wants to list. However, I want all of my patrons to know how much I appreciate you. Over the past year I’ve started closing in on that first goal of $50 a month and I am definitely continuing to work on developing more content for you. 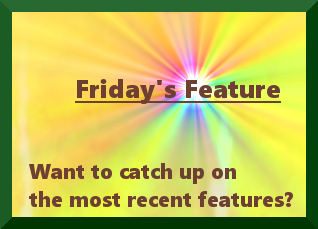 As always, if you have suggestions of things you would like to see on the blog or improvements I could make, message me. I value your input greatly and I want 100 Word Anime to be a blog you enjoy. And, if you are a patron and you are missing from the list below, or your link is wrong (and you didn’t ask to be anonymous), please contact me. I will update the about page and ensure your links are accurate and I also want to add links into the sidebar of my blog for my patrons so I want to make sure they are correct. I’m going to contact you sometime this month requesting an image you would like associated with your link so that I can put this together. If you continue to not want to be listed, that’s also fine. As we continue on this blogging journey, I’m continuing to work to improve the blog and ensure there is content people want to read on it. When I reach that first target of $50 a month, I am aiming to ensure that patrons gain access to video content on a semi-regular basis in addition to the normal blog content. At $100 I am going to remove WordAds and minimise all other advertising on the blog. Should I actually make it to $500 a month, the goal is to produce to video posts every month in addition to existing content, as at that stage I will be able to step back in my role at my day job and focus more on blogging. Looking beyond that point is hard because I’m not really sure how long it will take to get there. Still with reaching the 10,000 view goal, I really feel positive that I can achieve this. 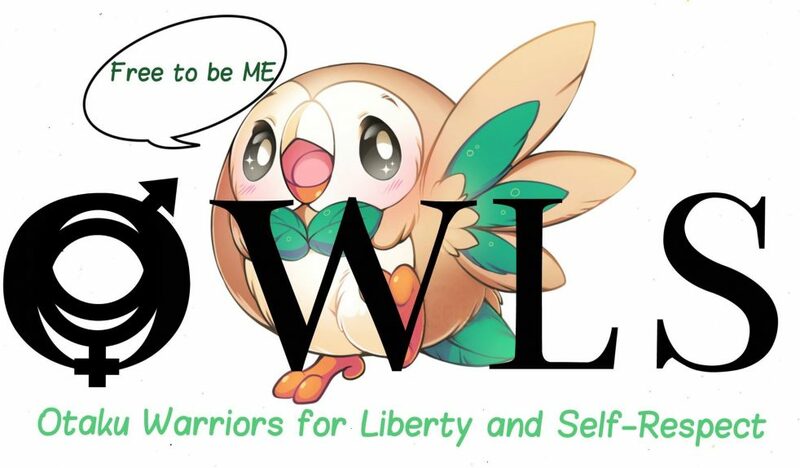 I do know that whatever direction the blog goes in, I’m going to continue to work hard to make it the best it can be. 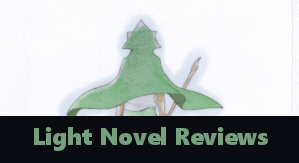 If I were to look really far into the future when the blog was actually a full time job I’d certainly be looking to take on other writers at some point in order to expand the range of anime covered here. However that is a very distant future goal (or feels like it at this point). For those who made it to the end of the post, thanks for your time and thanks for listening to my sales pitch. As always, you can use the links below to support the blog by becoming a patron, buying me coffee, or you can make a one off donation into PayPal. Let’s have fun discussing anime now and into the future. If you are interested in becoming a patron and accessing the monthly podcast or patron only episode reviews, please visit my patreon site. I am going to continue to work towards creating better content and a greater variety of content and I really appreciate your support. Once I reach $50 a month I plan to hopefully release a video post for patrons (and once I get better at making videos doing this with some frequency). At $100 a month I plan to remove WordAds from my site which means patron only posts will not have any advertising attached to them. At $300 a month, in addition to patron videos that will hopefully be more regular by then, I will produce 1 video post a month for the blog which patrons will have early access to. Increasing that to 2 video posts a month at $500. Though these are goals at this point in time and will need to be reviewed as I get closer to these targets. However, I would love to know what you would like to see on the blog and if you become a patron what you would like to see as a reward. Be sure to let me know in the comments of visit my patreon site and give me some feedback. If you enjoyed this post and would like to see more great content on this blog, consider becoming a patron for as little as $1 a month. Another way you can support the content here is by buying a copy of ‘Thoughts on Anime 2017‘ as an ebook. It contains a selection of reviews, features and top 5 lists from 2017 and while the content is available free on the site, this is a great way to give a one off show of support for the blog. It is available for $3.99. Finally, you can use the affiliate link to shop at Play-Asia.com if you are interested in anime, soundtracks, figures or games. Should you use the link and make a purchase, I will receive a small percentage of the purchase price. And we’ve finally reached January 31st and the end of the countdown that has been going on for quite awhile now so it is finally time to make some announcements. Oh, that’s not quite right. That would be cool, but unfortunately budget cuts have meant that the Eva program just isn’t getting off the ground (that was a joke). And while yes, the content in the book is all available on the site already, this is an opportunity to support the blog in a one off manner rather than an ongoing subscription (such as patreon). However, if you are a patron already, or if you sign up to become a patron, you will get access to a PDF copy of this on request as a thank you for your ongoing support for the blog. ACCA: 13 Territory Inspection Dept. 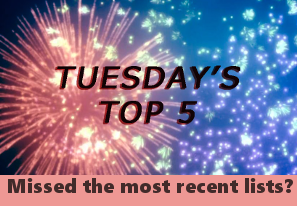 In addition to the series reviews, the book contains reviews of older series that were published on the blog during 2017, and some of the features and top 5 lists from 2017. It comes in at just over 120,000 words and posts have been edited from the blog form so some of the more glaring typos that slipped through have been addressed (there’s probably some I have missed though). Note: There are no images included in the book. The other bit of news is I’ve been reviewing the reward tiers for my patron site. There are now more tier levels and the rewards are a little clearer and less nebulous. While I find it kind of awkward to ask people to pay for content, as I would like the blog to become something more than a hobby I am going to keep working with patrons and followers to find a good balance here. Please take a moment to review the reward tiers and to consider supporting my blog in 2018. While I will admit I am still learning things and I still make mistakes, I’m working hard at improving quality and to ensure that content is produced regularly for the blog. And that’s where we are up to now that the count down is over. Now we just need to count down to the blog’s second anniversary (May 1). In the meantime, I want to thank all of my readers as you are the reason I want to keep creating content and to create better content. Also, if you have a suggestion for a reward that I could offer my patrons, I am very open to those so contact me or send me a DM on Twitter. Well, 2017 has been a great year for the blog and I’ve continued to meet many wonderful people in the ani-blogging community. I’d like to throw a huge thank-you to everyone who continues to support my blog and for everyone who I’ve had the chance to meet through the blog. This really is just a short update post about a few thing coming and changing for 2018. Patrons, if you want all the details you can read them here (hopefully the link works otherwise the post is just on my patreon page for patrons to read). First up, we have the count down that will continue until the end of January. Again, patrons who want to know what is happening at the end of the count down, you can read it on patreon, for everyone else you are just going to have to wait until the end of January. Secondly, about Patreon. My stated goal on the patreon website is $500 a month at which stage I am committing to video blogging because I will be able to reduce work hours to actually accommodate it. That remains the long term goal, however I am aware I need to be doing more for those who take steps to support me as I try to grow the blog into something more than just an obsessive hobby. On that note, there are two things I am committing to in 2018 regardless of how many or how few patrons I have. 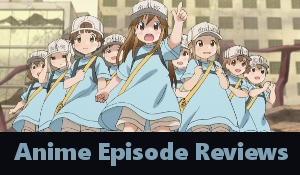 The first is that patrons will have the right to choose one show each anime season that will be reviewed exclusively for patrons (the posts after episode 3 will be password protected) and that includes the final series review after the show is done. I’ve been hesitant to lock content behind passwords because the point of my blog is to talk about anime with people but I’ve decided this is something I need to do to give patrons a thank-you for their extra show of support. As I review at least 12 shows each season (this last season I was reviewing 15 shows) even with this, followers will still have a good range of content freely available on the blog. The second is that while video blogging is a little beyond my time management at the moment as it requires a skill set I am still learning and I just don’t have the time to consistently work on it, I am committing to an audio blog post once a month again for patron access only. Patrons will also get a vote on what topic the post will focus on. This will start from February with the first vote open to patrons in the last week of January. For most followers, it means very little. The rest of the content will remain as it always was and I will continue to enjoy seeing your comments and discussing anime with you. However, it does also give patrons a bit more for their patronage and as time goes on I am hoping to continue to increase what I can offer to patrons (though suggestions about what patrons want are always appreciated). A full review of the rewards offered (which at the moment aren’t much) will take place over the coming months and hopefully the revised reward tiers will be unveiled for the blog’s second anniversary in May. I know the patron fee structure change rubbed a lot of people the wrong way (and then the reversal of that decision just seemed like it added to confusion), and I appreciate the patrons who have stuck with me over the year as January marks 12 months on patreon for me. I also know a lot of people would like to support the blog but have their own financial situations to consider. So once again, I say thank-you to everyone. Thank-you for making me feel welcome in the community when I first started blogging. Thank-you for following me this far. Thank-you for all your comments over the last year and a bit. And here’s the final point. The second anniversary for the 1st of May. For my first blog anniversary I celebrated over a week and I see no reason to change that in 2018. I also asked for volunteers to participate in my anniversary and I will be doing that again (though slightly differently) in 2018. Basically, watch this space and if you want to get involved, be sure to contact me once I put out more details. Realistically I’ll probably start recruiting people at the end of February. If you are a newer follower and missed my first anniversary, all the anniversary posts can be found here. Hoping everyone has a great new year’s and a very productive 2018.